World-class bluegrass and old-time banjo instruction, performance, & jamming in the Black Range Mountains with Bill Evans, Alan Munde, Ned Luberecki, Riley Baugus, & Special guests the Hard Road Trio (Steve Smith, Chris Sanders, & Anne Luna). Join these world-class players for an unforgettable weekend of bluegrass/three-finger and old-time/clawhammer instruction, concerts & jamming designed for intermediate to lower advanced players limited to no more than 35 students. Topics-oriented workshops will alternate with open time for practicing, follow-up and one-on-one sessions guided by student requests. The New Mexico Banjo Camp begins on Thursday afternoon and ends just after Sunday lunch. It is possible to fly into New Mexico on Thursday and back home on Sunday out of either Albuquerque or El Paso, TX, the closest major airports and participate in all camp programming. Workshop weekend, including all instruction and concerts, is $425 per person. Add world-class cuisine to satisfy any foodie with comfortable accommodations in a serene Gila National Forest setting and you’ve got the ingredients for the best banjo camp in the world. Directed by world-renowned banjo player, teacher & workshop leader Bill Evans, author of "Banjo For Dummies." For info on the Black Range Lodge, visit http://www.blackrangelodge.com. The Lodge is 3 hours from Albuquerque, NM; 2.5 hours from El Paso, TX and 5 hours from Tucson, AZ in southwestern New Mexico. The New Mexico Banjo camp will feature some of the premiere bluegrass and old-time banjo players in the world. Get to know our banjo players more below. Banjo For Dummies author Bill Evans has taught thousands of players in both group and one-on-one instruction over the last forty years. He has authored five books, nine DVDs and also teaches beginning and bluegrass banjo courses online at Peghead Nation (www.pegheadnation.com). He co-directed the NashCamp Banjo Retreat with Sonny Osborne for fifteen years and currently hosts the annual California Banjo Extravaganza tour and workshop each November. His instruction is down-to-earth, highly organized and hands-on with detailed tab examples designed for the adult learner. Bill has performed and recorded with David Grisman, Peter Rowan, David Bromberg, Dan Crary and Dry Branch Fire Squad, among many others. His 2012 CD In Good Company topped both folk and bluegrass charts as well as found its way to many best of the year lists. His latest CD is Songs That Are Mostly Older Than Us, recorded with 86-year old Tennessee fiddler Fletcher Bright and Americana icons Norman & Nancy Blake. Bill currently tours with his solo show The Banjo In America, presenting over 250 years of banjo history based on research done as a doctoral candidate in ethnomusicology at UC Berkeley and he also performs with flatpicking guitar pioneer Dan Crary. Visit www.billevansbanjo.com to learn more. Alan Munde is a bluegrass banjo legend – easily among the most influential players of all time as well as being one of the world’s most accomplished and prolific teachers. Alan began his career in bluegrass music with the 1968 recording of Poor Richard's Almanac featuring Sam Bush and Wayne Stewart, followed by a traditional grounding in bluegrass music as a member of IBMA Hall of Fame member Jimmy Martin and the Sunny Mountain Boys. In 1972, Alan joined his college friend Byron Berline in the forward-leaning bluegrass group Country Gazette and he continued as the anchor of the group for twenty-one years. Along the way, he recorded many highly regarded albums including Banjo Sandwich and the Festival Favorites series. 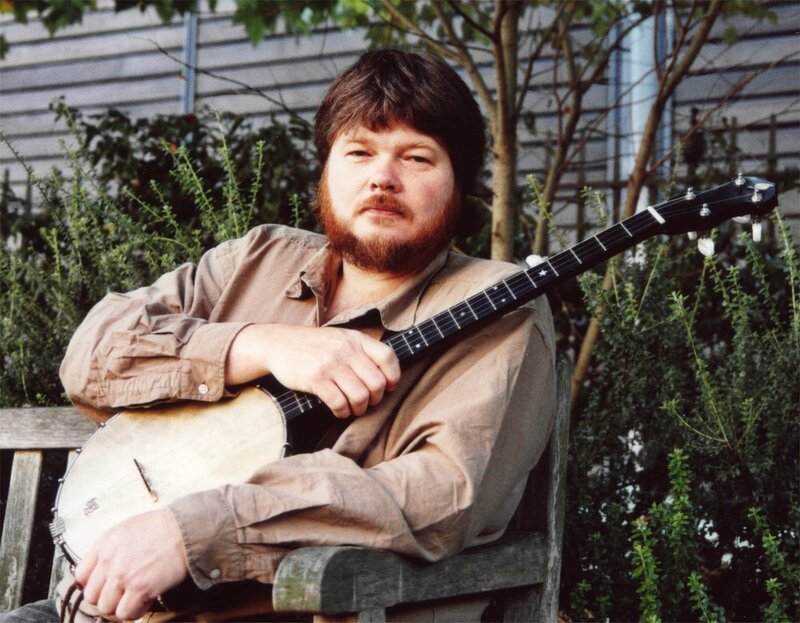 Alan taught in the Bluegrass Music Program at South Plains College in Levelland, Texas from 1986 to 2006 and since that time, he has become a mainstay of the international banjo camp scene. He has published many instructional books for Mel Bay and instructional DVDs for Texas Music and Video. The Yosemite Banjo Camp provides the unique opportunity of learning from this true master in a much smaller group setting than found in most other camps. Learn more about Alan at almundesbanjocollege.com. Steve Martin describes Ned Luberecki’s playing as “an absolutely joyous, riveting, beautifully syncopated example of the beauty of the banjo.” Ned is one of today’s leading players and teachers: a master of the five-string banjo who is adept in both modern and traditional styles. He has taught hundreds of players at most every major banjo and bluegrass banjo camp in the world and his brand new Complete Banjo Method, in three volumes from Alfred Music, is garnering rave reviews. Ned tours internationally with the award-winning Becky Buller Band and in Nedski & Mojo, his duo with Sam Bush band guitarist Stephen Mougin. Ned counts as his influences not only the usual banjo heroes with names like Earl, J.D. and Tony but also Eddie Van Halen, Stevie Ray Vaughn, Oscar Peterson and Dave Brubeck. These diverse influences emerge in his unique, sometimes whimsical approach that draws from rock, jazz and television themes (!) as well as bluegrass. Ned’s latest release is the critically acclaimed CD Take Five. Learn more about Ned at www.nedski.com. Riley was born and raised near Winston-Salem, North Carolina and started playing banjo at the age of 10. He was inspired by the traditional Appalachian music that he heard in his family’s community in the Blue Ridge mountains and went on to learn his craft while still a youngster from such old-time greats as Tommy Jarrell, Dix Freeman and Robert Sykes. Riley has played with numerous old-time string bands, including The Red Hots and the Old Hollow Stringband and has recorded on his own for Rounder and Sugar Hill records. He sings on the soundtrack to the Academy Award winning film Cold Mountain and performs on the Grammy award winning Raising Sand by Alison Kruass and Robert Plant and Willie Nelson’s Country Music. Riley performs internationally, often with Dirk Powell and dancer Ira Bernstein. 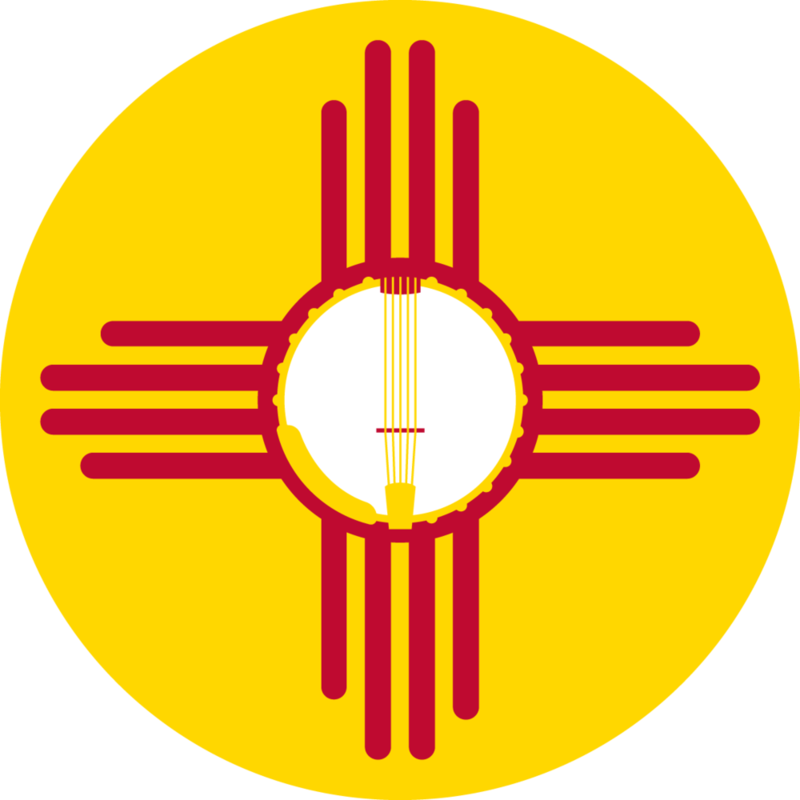 The New Mexico Banjo Camp is ideal for intermediate to “lower” advanced students with two or more years of playing experience. Participants should be knowledgeable in Scruggs-style playing, be able to play successfully a handful of standard tunes at medium tempos and understand the basics of accompanying others in jam sessions. This camp is limited to 30-40 participants and we have the unique opportunity to create an event based around students’ needs and requests. After registering, camp director Bill Evans will keep in touch with you to find out how we can make this a great camp experience for you based on what you’re wanting to learn. We are building upon the success of last year’s Yosemite Banjo Camp in California to create an even better event in New Mexico. The following is a sample schedule of events as students will have a say in the class schedule – and don’t forget that Riley Baugus will also be on hand at this New Mexico Banjo Camp with a clawhammer / old-time instruction track! Four sessions will run simultaneously all weekend long. Final thoughts and bon voyage! Lodging and food are separate transactions and must be arranged directly with Catherine Wanek at the Black Range Lodge by calling 575-895-5652. Rooms, camping spaces and 2 RV spaces are available, in addition to several Air BnB options in the immediate area. In addition, several hotels are a short drive from the lodge. Lodging prices include your room and all meals. Most rooms have double or queen beds and couples are welcome! Single occupancy: $100 – 125 per day. Double or triple occupancy: $75-95 per person / per day. Rates vary according to each lodge room. Visit the Black Range Lodge’s website for room descriptions. Camping: Tent site with bathroom / shower access, $15 per person, meals not included. Meals can be purchased separately: Dinner $16, lunch $11 and breakfast $8. And the food is delicious and home cooked! Workshop weekend, including all instruction and concerts, is $425 per person (Note: this does not cover lodging). Spouses not attending instructional sessions will be charged $25 for attendance at evening concerts. In order to register for the New Mexico Banjo Camp, contact camp director Bill Evans to reserve your spot. You must pay separately to the Black Range Lodge for accommodations and food. Before making reservations with Bill for the workshop, contact Catherine Wanek at the Black Range Lodge at 575-895-5652 or cat@blackrangelodge.com to check on available rooms, suites and cottages.